The timeless charm of vintage lighting. The Naked light bulb cage lampshade Drop Black colored metal is inspired by industrial and steampunk atmospheres. The collar closure is suitable with any Socket and, if matched with one of our 120 colors of fabric covered electrical cables, will allow you to create a suspension or table lamp perfect for any environment, domestic or public. We like it partcularly with a black smooth bakelite E26 Socket, and a Classic Brilliance Led filament light bulb. Naked light bulb cage lampshade Drop Black colored metal. Fitting: collar double lateral closure. 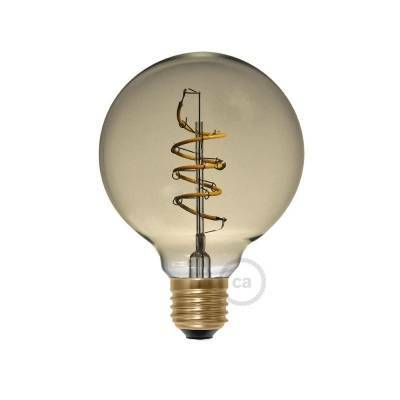 Not suitable for light bulbs with a diameter over 3.75".